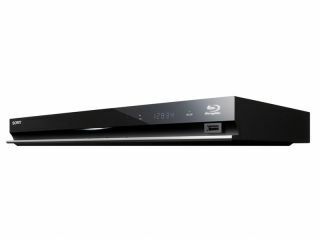 Sony has unveiled its Blu-ray line-up for 2010, and it includes Blu-ray 3D, Bravia Internet Video and 'monolithic' design. Sony's line-up includes BDP-S770, BDP-S570 and BDP370, and are packing everything you would expect. The flagship BDS770 features built in WiFi, Bravia Internet Video – Sony's IPTV offering – Content Noise Reduction, Entertainment Database Browser (with GraceNote), DLNA and USB connections and Blu-ray 3D. Plus, Sony's latest players can be controlled from a free iPhone/iPod touch app, which will offer information about that you are viewing/listening to. "The new Blu-ray Disc Players for 2010 are our most innovative and exciting yet," says Stuart Kemp, Business Manager, Audio & Video Marketing Europe. "A Blu-ray Disc Player from Sony no longer just delivers an amazing Full High Definition experience, it puts your Living Room at the cutting-edge of home entertainment and style." "The latest Blu-ray Disc Players enhance your room interior, connect home entertainment with beautiful simplicity and unlock a huge world of online entertainment and 3D action too." The BDP-S570 does not have the Blu-ray 3D functionality, whilst the BDP- S370 comes without WiFi, DNLA or the 3D.